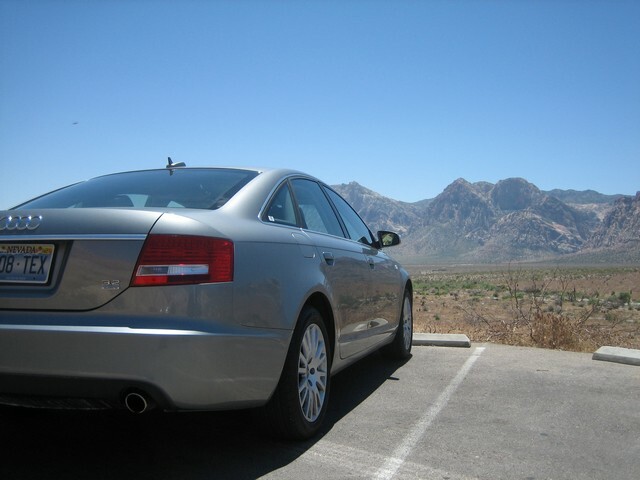 In June '06 my wife and I spent 3 days test-driving potential new cars around the greater Las Vegas area, courtesy of Dream Car Rentals. We put about 100 miles and a half day each on a BMW Z4, a Porsche Boxster, Corvette C5 Z06, Honda S2000, and an Audi A6. This page has all the details of our trip. The justification for this little adventure was to test-drive cars that are potential replacements for my current car (a '91 Toyota MR2 Turbo, bought in '98 with 63k on it, now at 168k miles). I figured with a purchase such as this it would be a good idea to spend a bit more time in the cars than the typical used car test drive permits. It's also nice to drive them in an "un-escorted" environment, if you will. The plan going in was to replace my MR2 in the next year or two with another used sports car, hopefully in the $25-30k range. The car would be my only car and a year-round daily driver, so some concessions to comfort are necessary. (This, and cost, is why an Elise didn't make the cut, sadly). The car would remain mostly stock and pull duty for the occasional autocross or track day. So, with that in mind I drew up a short list of contenders and headed off to Vegas. A silver 5-speed with 17,700 miles on it. Bridgestone Potenza RE050s, 225/50R16 on all four corners. A silver (go figure) 6-speed (of course) with 27,200 miles. 265/40R17 Goodyear Eagle F1s in the front paired with 295/35R18 BF Goodrich G-Force TA's out back. A yellow 6-speed with 18,600 miles. Dunlop SP Sport FM901, 215/45R17 front and 245/45R17 rear. Z4: Everything here just WORKED, without any drama, and without too much excitement. Smoothest engine of the bunch and second best shifter. Easiest car to hop in and drive, no idiosyncrasies to speak of. Only real fault (if it can be called such) is the lack of a distinctive character compared to the other three. This is the car I'd recommend to non-car types looking for their first sports car. 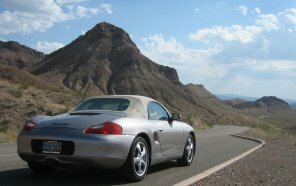 Boxster: Felt like a wider, lower version of my MR2 with better steering and brake feel. I liked it a lot. Power-wise, I think the "S" version would be worth the premium. The chassis felt much more capable than the engine. The Boxster turned in RIGHT NOW and it had the best brake feel of the bunch. Radio didn't work and I didn't care, the engine sounded great. Z06: An absolute monster in a league of its own. Notably more power and what seemed to be a good bit more grip and braking ability than the other three. I strongly suspect it would be the quickest of the lot on just about any portion of any track, save maybe the Boxster in a tight slalom. The car had a few issues that were apparently due to a rather tough rental life, so I won't hold them against it. 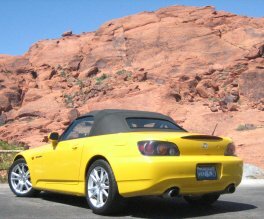 S2000: Struck me as a much more intense Miata. Nice tight steering, engine wants to be wound out on a regular basis. Even up near the 8K redline everything felt smooth. Very well screwed together it seems, as might be expected for a Honda. Shifter feel and clutch take-up was the best of the group. The billet shift knob seared my hand a bit after being left in 100 degree sun for a lunch break. 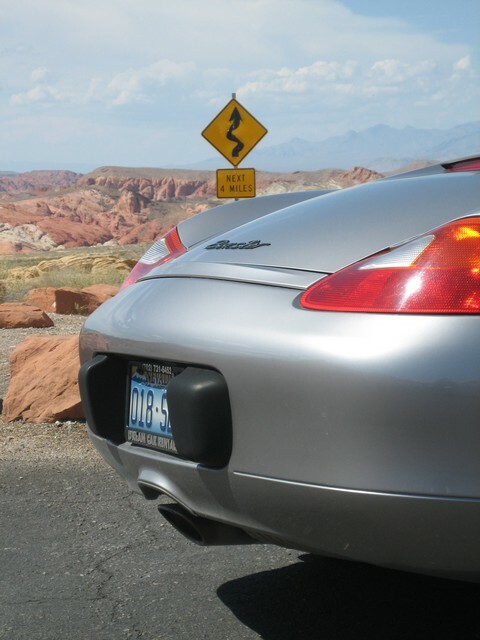 Handling: The Boxster's handling struck a chord with me, perhaps because the mid-engine dynamics were most familiar. Though I didn't exactly drive at 10/10ths, I suspect the Z06 has the most lateral grip of the bunch. It's also the easiest to drive near the limit. The S2000 felt almost as tossable as the Boxster. The Z4 had a bit more understeer than I was expecting. Power: This is the only category that wasn't close. There's the Z06 and then everything else. Yeah, it's got twice the displacement. So what? No law against a big engine. 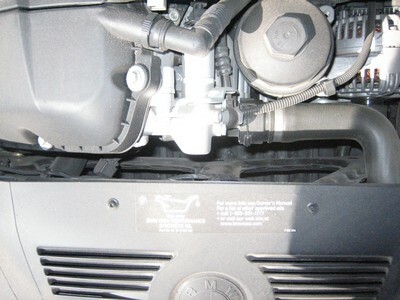 Go check the Z4 & Boxster redlines and see how many revs pushrods cost you. Braking: The Boxster had the best brake feel, followed closely by the Z4. The S2000 and Z06 were just fine, but not quite as sharp. In terms of actual braking performance, the Z06 felt like it stopped in the shortest distance, with the rest close behind. Steering: The S2000 felt tightest and lightest, with the Boxster a close second. Good marks all around in this area, with no real losers. 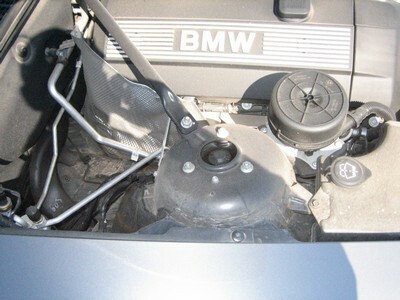 Engine Feel / Sound: The Z4 was sewing machine smooth, followed closely by the Boxster. Since an I6 and flat 6 are both naturally balanced, this difference is likely due to engine mounts and other such design decisions. I found the S2000 and Z06 to be equally smooth, which was a bit surprising (both have a bit more edge than the above sixers). 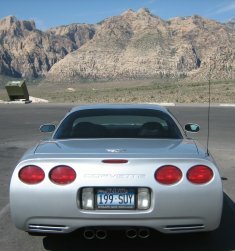 The exhaust note of the Z06 was my personal favorite, followed by the Boxster. All told I like the aesthetics of the Z06 the best. Road manners: I'd give this one to the Z4. It was the most quiet, smoothest, and most stable in cross winds. Second would have to go to the Boxster. 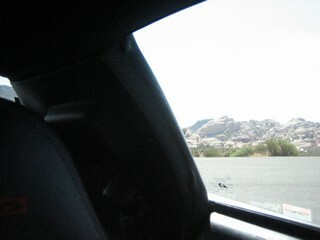 I took it out to Valley of Fire state park and just piled on miles without even noticing. I think the Z06 and S2000 would be the most tiring on a long trip, but all four cars could serve as daily drivers without too much trouble. So that's it for the fun part. For you bench racers that need hard numbers, here's Road and Track's numbers for the cars in question. Note that these figures are for the Boxster S manual and the Z4 3.0, since those are the variants I'd be in the market for. As boring as it sounds, testing the ergonomics of these cars was the main point of the trip. I can get slalom and quarter mile times out of any magazine, so I saw no need to risk my license for additional unscientific testing. It was more important to determine if I could live with them on a daily basis. If discussions of control layout, visibility, and trunk space don't excite you, feel free to skip ahead to the conclusions or pictures. Let me preface these sections by saying there's a huge disconnect between myself and the automotive press with regards to interiors. The three most important things to me are function, function, and function. The press complains about cheap feeling dash materials, whereas I can't remember the last time I actually touched my dash. They are impressed by "expensive feeling plastics"; I'm not, because I know they're plastic. They like brushed aluminum and chrome trim rings, I dislike glare. They like VW's seamless grids of flush square buttons, I like tactile feedback to distinguish between switches. In short, I want simple interfaces, controls that fall to hand, and switchgear that can be operated without so much as a glance. If that's accomplished with a sea of cheap black plastic, so be it. In addition to my standard rambling opinion, this section has some qualitative bits. Specifically, the distance in inches from the 3 O'clock position on the steering wheel to the controls for the stereo & HVAC and the shifter. Min and max distances are given for the closest and furthest buttons. For the shifter, the min and max are to the center of the shift knob in 1st and 5th/6th (I didn't bother with reverse.) Probably overkill, but I brought a tape measure and I was determined to use it. 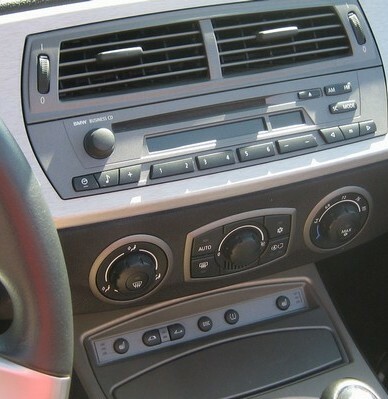 Z4: Three simple knobs for the HVAC, my preferred configuration. 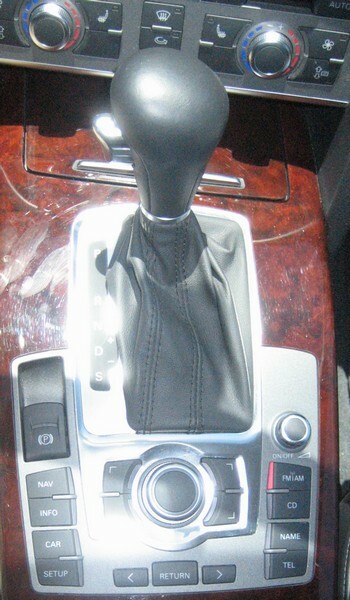 The lower panel has buttons for top operation, seat heat, and traction control. I'd say it's tied with the Z06 for second best. Boxster: A couple of problems here. Discrete +/- buttons for most of the HVAC functions rather than knobs. 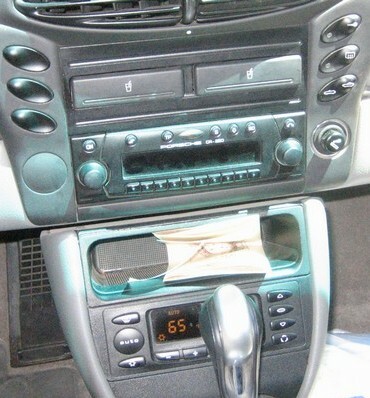 Also, the HVAC controls are down at the bottom, partially blocked by the shifter. 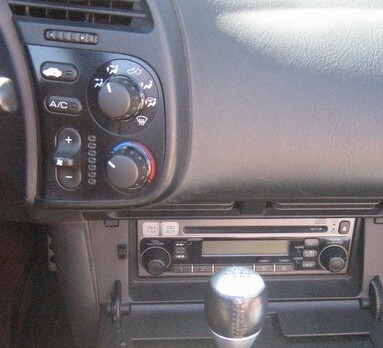 Not sure why they're not up above the stereo (relocate the cup holders) or at least up where the pocket is. Maybe the top slot is reserved for a double DIN navigation option. Also, the central locking, defrost, and top operation buttons are alongside the cup holders. There are mirror image blanking plates for these buttons on the other side, presumably for the RHD variants... which makes me wonder why they didn't put these buttons and the cigarette lighter on the driver's side. I'd also prefer the defrost button be grouped with the rest of the HVAC; not that I ever had to use it. The angled HVAC display had some glare issues as well. It's all perfectly livable, but it's also the worst of the bunch. Z06: Controls are all easily accessible, and there's nice knobs for the driver & passenger automatic climate control. No real complaints, other than the fact the auto climate control seemed to cycle a lot. 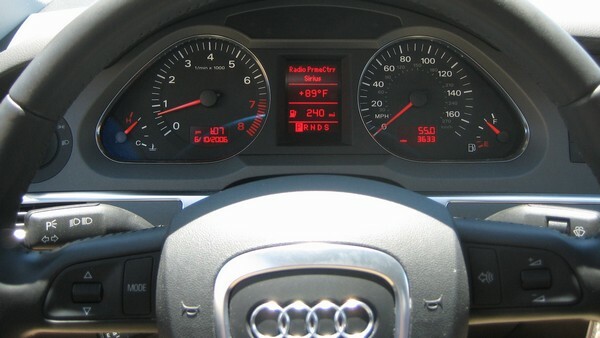 Note that there's also controls for the HUD and the trip computer to the immediate left and right of the gauge cluster. They were blocked by the steering wheel in the one pic I took. They're easily accessible. ... on the left side pod, as shown here. There's also a handy one-touch mute feature. It should pause the CD rather than mute it, but now I'm just being picky. This is IMHO the perfect control layout for a sports car. Lastly, the aforementioned distance table. Note the shifter distances are for the Boxster's tiptronic manual mode; I don't know what the distances would be for the 5spd/6spd versions. * Note the 9-13 inch range for the S2000 stereo is measured to the head unit behind the flip down plate. 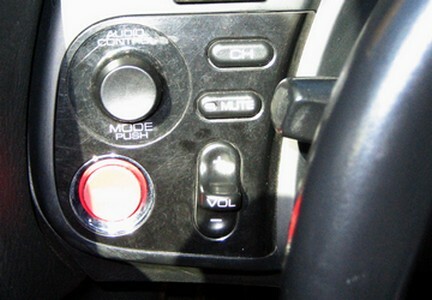 The distance from 9 O'clock on the wheel to the left pod audio controls shown above is only 4 inches. Z4: Simple and easy to read, though the top portion of the gauges was blocked by the steering wheel once I had everything adjusted to my liking. YMMV and all that. I think gauge clusters should tilt with the wheel, personally. Still, it's good enough for second place. Boxster: I liked to prominent tach placement, but the gauges themselves weren't the most easily read. Also, -5 points for not reducing fractions. Z06: Excellent all around. It doesn't show that well in the picture, but the gauges are stacked slightly to give them some depth. Much more glare resistant than this pic would seem to indicate, easiest to read and most informative. Not that I'd look at the voltage gauge often, but it's nice to have all the same. More importantly, there's a heads-up display that shows speed, RPMs, and some additional info of your choosing. Seemed like a gimmick at first but it's very handy and a huge plus in my book. 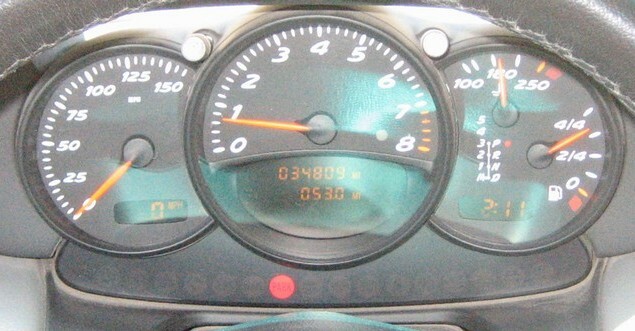 S2000: The digital display was nice and bright, but I still prefer analog gauges. 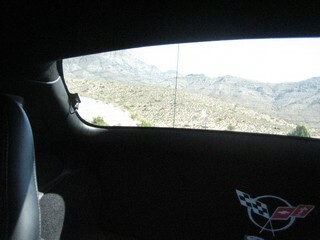 Never had the sun directly at my back while driving the S2000 so I'm not sure if it would get washed out or not. This is mostly a non-issue. I can live with a small trunk for my daily needs and rent a U-Haul or borrow a pickup/van once a month for bigger loads. However, there should at least be enough space for two people's belongings for a trip to the airport or weekend getaway. How much space is needed? A wise man once said 5.2 cubic feet, enough for two airplane roll-aboards and two small backpacks. Sounds reasonable, and there's room for all that in any of the cars I tested. 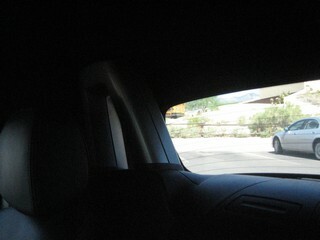 My apologies for the quality of these pics; my camera lacks the dynamic range to properly expose both the trunk interior AND a silver car reflecting the June Nevada sun. Also, I should have thrown my carry-on luggage in the trunks to give a relative sense of scale. Send me a nicer camera and I'll be happy to correct these oversights on my own dime in, say, February. 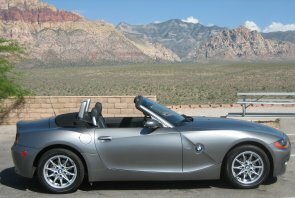 Z4:Ample room and easy loading, no real complaints. Boxster: Two trunks for your junk; the front one is surprisingly deep. Could be very handy if you like to back into parking spaces. 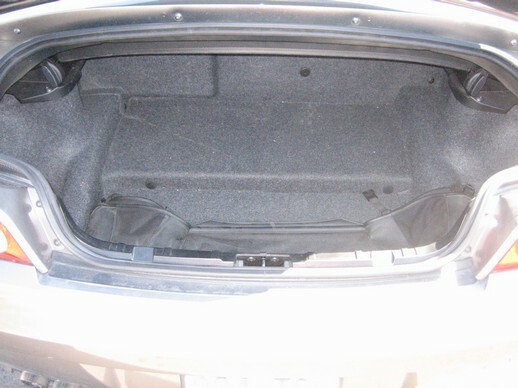 Z06: Very large trunk, possibly as large as the two Boxster trunks put together. 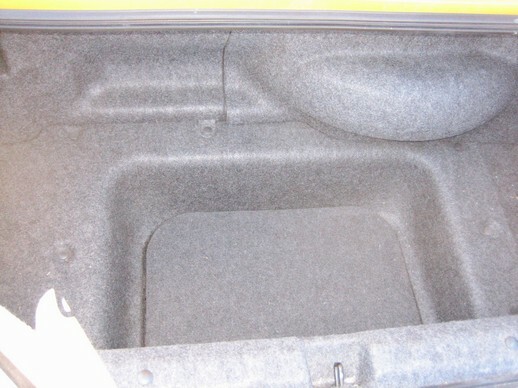 There's also a decent amount of storage for relatively flat items on a parcel shelf just behind the seats. 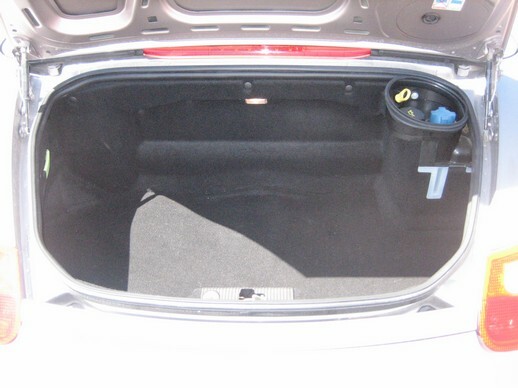 Only real drawback is the relatively high lift-over to get in the trunk. S2000: A few oddly shaped protrusions into the storage space, Tetris skills would come in handy. It'll do. 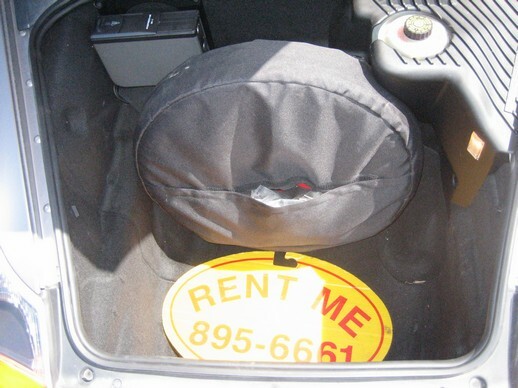 "Dumpability" is a WAF-critical measure of the ease with which common hand carried items can be dumped into the passenger footwell upon entering the car. It also concerns how easily said items can be snagged on seat controls, handbrakes, shifters, etc as they're removed from the footwell. My wife oversaw this portion of the testing; items tested included a purse, backpack, raingear, and an FN P90. Z4: A little tight between the seat front and the dash, but not bad. Boxster: Excellent, owing to a flat floor and narrow-ish central tunnel. 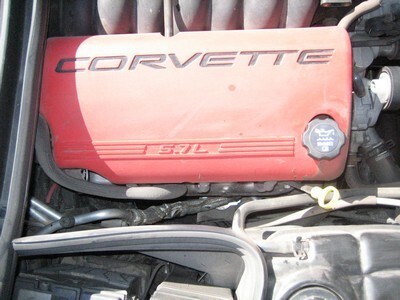 Z06: Nice, with nothing to catch things on. Plenty of room in the footwell and a decent parcel shelf behind the seats for small items. Only possible drawback is lack of a good spot for a cell phone. S2000: Seat lever open and stick out a bit, but at least points towards driver. 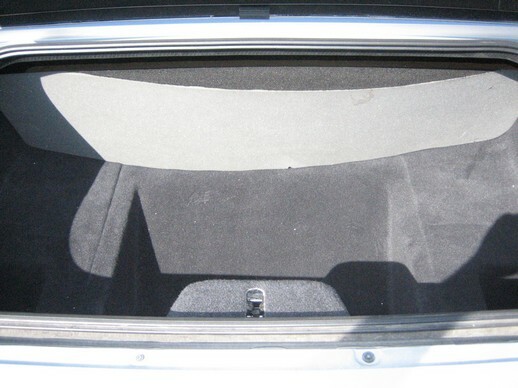 Passenger footwell very tight in general, a passengers' legs plus a backpack fills it. No real room behind the seats. Visibility in the Z06 was decent. The rest were, well, convertibles. Visibility was great with the top down, and fair-poor with the top up. Poor rear visibility should be expected, I suppose, but it was worse than *I* was expecting. I think it's getting worse, too. C-pillars are getting fatter across the board, on coupes and convertibles alike. The RX-8 and 350Z were off the short list for this reason. 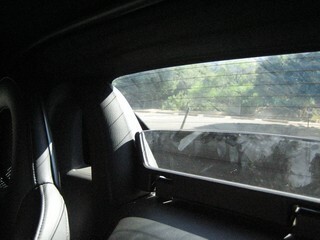 And it's not just on sports cars, the rear visibility on a family member's Honda minivan is pretty bad as well. When's the last time you read a review that included a photo showing rear visibility? The car companies are getting a free pass on this one, I'm afraid. 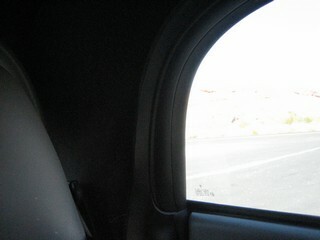 Anyway, the photos below show left & right over-the-shoulder visibility and a shot straight back through the rear window. The original plan was to stitch these together for a cool panorama effect, but that didn't work. Someone send me one of those slick 360 degree cameras and I'll be happy to repeat this test on my own dime. Boxster: Best of the drop tops, owing to rather wide side view mirrors and thin C-pillars. Z06: Could be better, but can't really complain in this company. Please pardon my hat. 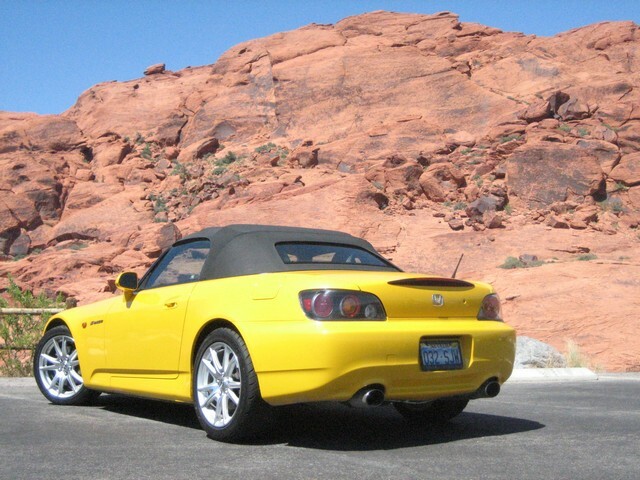 S2000: Worst of the bunch due to the tiny rear window and bad left shoulder visibility. On the whole, all of the seats were perfectly comfortable, so this section is reserved for nit-picking. I had plenty of legroom in all the cars, at least 2-3 inches of extra seat travel. There was enough excess headroom for my helmet in all the cars except the S2000. Presumably I'd drop the top for autocrossing so this isn't a huge deal. Plus, my helmet hits the roof in my current car and I've learned to deal with it by scrunching into the seat a bit. For reference, I'm 5'10" and I tend to sit fairly upright, with the seat back nearly vertical. Z4: The only seat with adjustable head rests, so bonus points for that. Given the improvements in comfort, safety, and visibility, I'm surprised all seats don't have them. 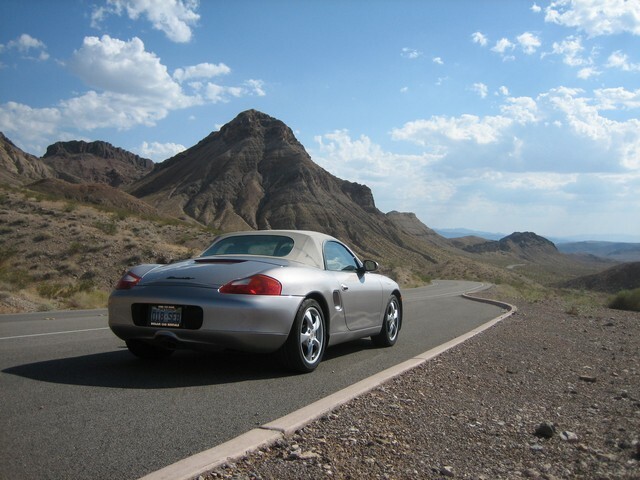 Boxster: 160 miles and nary a complaint. Z06: The Z06 seat backs have about 20-30 degrees of free play, and I've been told that this was inexplicably designed in. Felt like it was tilting forward under hard braking. A bit disconcerting. 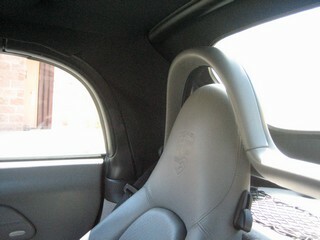 S2000: These seats looked the coolest, with prominent shoulder bolsters. The two strikes against them are the fact that it's hard to get to the seat controls with the door closed, and that it was a bit tight on head room. Also, the passenger side floorboard has some odd bumps and channels in it, presumably for chassis stiffness. I'd say you're 37% more likely to sprain an ankle entering the S2000 than the other cars. Oh, and no height adjustment, but the fixed position was just fine for me. So make that 3.5 strikes I guess. All the convertibles could be operated by one person without having to get out of the driver's seat, and all were quick enough to drop at a stoplight. No real complaints. Z4: One button, fully automatic operation. 8.4 seconds to lower, 9.9 to raise, the best of the bunch. Boxster: One simple, central, manual latch. Took 14 seconds to lower and 15 to raise. Z06: I estimate top down in ~5 minutes with a Sawzall and wreckin' bar. Figure on ~15 minutes with a TIG welder to get the top back up, depending on how straight you want it. S2000: Two manual latches. 17 seconds to drop and the same to raise. One of the few gripes I have with my current car is the fact that it's something of a pain to work on. 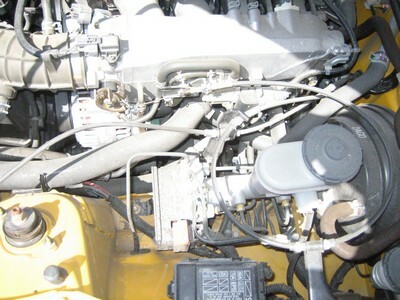 The mid-engine layout means that everything is packed in tight, and half of any job is removing pieces to get to the pieces you need to remove. I'm hoping my next car might be a bit more maintenance-friendly. The pics below were meant to give a sense of engine accessibility, and show the driver's side, front pulley, and passenger's side. Z4: Probably the easiest one to get at, a decent amount of space on the passenger's side. 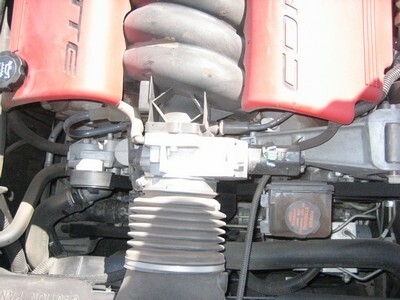 Boxster: I'm 95% certain that the Boxster has an engine. 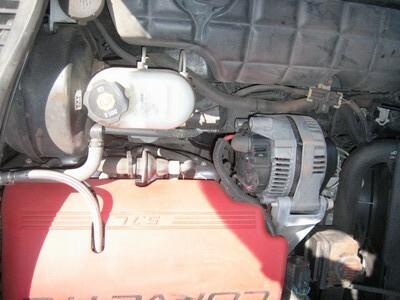 It makes all the right noises and easily converts gasoline into forward motion. 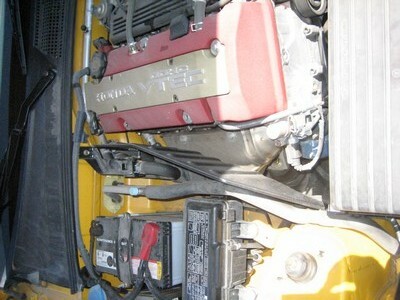 I was unable to obtain photographic evidence of said engine, however. 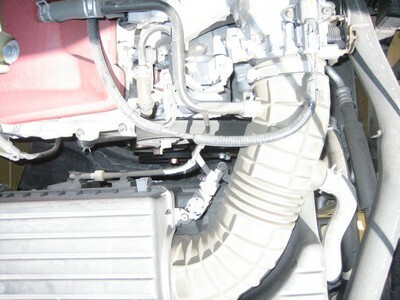 Z06: Packed in tight, and the engine is mounted low and far back. It looked like it would be slightly easier to get at than my current car, but not by much. 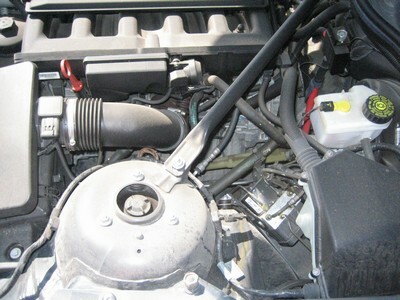 S2000: As with the Z06, engine is mounted low and far back. A bit more space on either side than the Z06, though. As you might infer from the above, the Z06 and Boxster now top the short list. The rev-till-it-hurts nature of the S2000 was novel but not my cup of tea. The Z4 did everything well but nothing exceptionally well and didn't really strike a chord. I suspect the 3.0 or M flavors would be more engaging. So there you have it. If you own one of these fine cars and you think I'm way off base, the best way to correct my misconceptions is by loaning me your car for a weekend. Failing that, you can email me at "smspam @ comcast . net" with "vegas drive" or some such in the subject line. I can't promise I'll reply but I will read it. The odds that it will result in an update this page are pretty slim, though, but it's just one man's opinion after all. BMW M3 - Just to see what the fuss is about. Some flavor of 911 - They don't get any better than this. (Except for the Cayman). 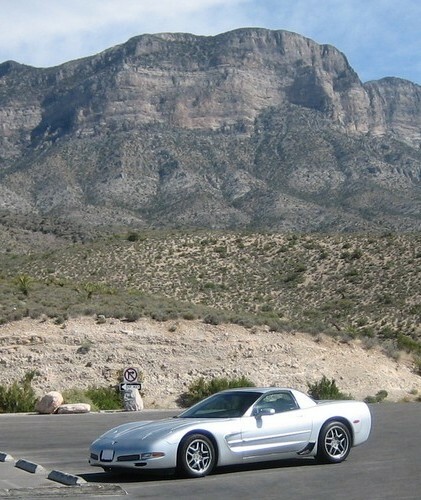 C6 Corvette - Probably a non-Z06 sampling; I'm anxious to see the improvements compared to the C5 Z06. Solstice GXP/Sky Redline - The General got it right for once; top operation and trunk notwithstanding. Mini Cooper S - I'm not really in the market for a four-seater, but it seems like it could be a fun city car. STI/Evo - Again, not in the market for a four door, but there's too much potential here to pass up. Sadly none of the specialty rental places seem to stock these...I suppose high rollers with money to burn are looking for flashy convertibles, not Japanese sedans. Their loss AND mine. 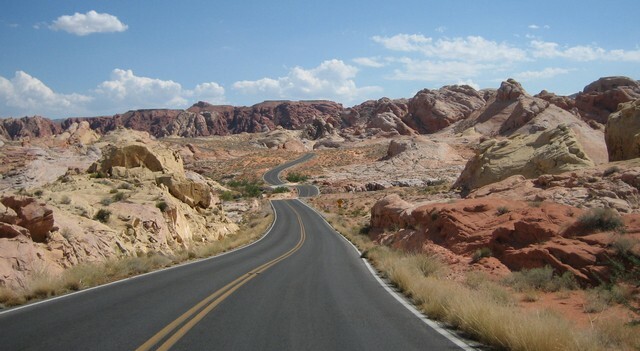 The road to White Domes in Valley of Fire park. Yet another shot taken in Valley of Fire. 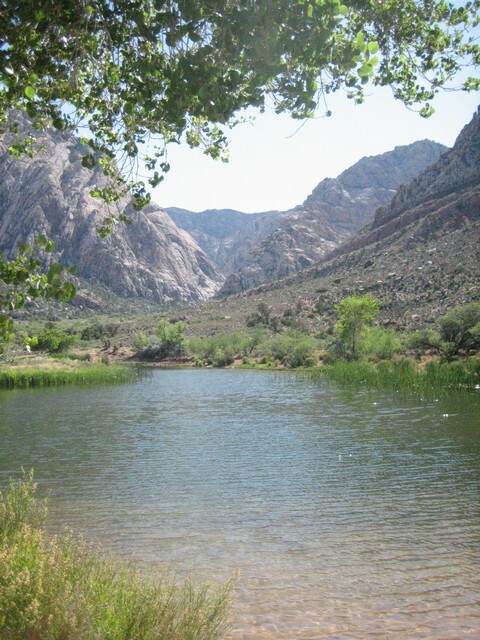 The spring at Spring Mountain Ranch Park. Some nice photo opportunities but I'm not quite sure it was worth the $6 entry fee. 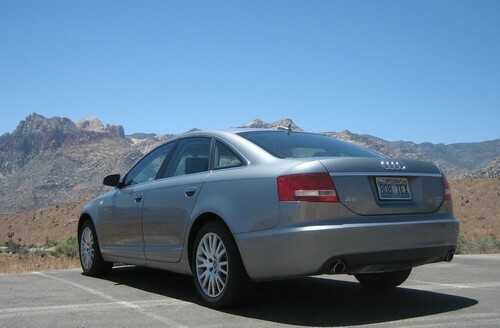 In addition to the above cars, we also rented an Audi A6. 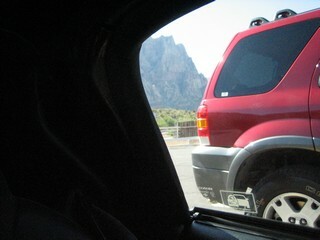 It was our primary car for the trip, but it stayed parked whenever we were in the possession of one of the sports cars. So basically it got us to the airport and back. It also served as luxury shuttle to and from a friend's 10th Anniversary renewal-of-vows shindig. My first reaction when I pulled out of the rental lot was "No way I'd want to own this thing." Too big and too heavy. Plus, at night the inside was as lit up as the strip. Chrome reflections and red & blue lights everywhere. So my initial impression was disappointing. I guess I'm not one for luxury sedans. Fast forward a few days, and what a difference. It probably helped that I'd been driving tightly sprung, edgy sports cars for the last 500 miles. The Audi now struck me as a perfectly reasonable sedan, very comfortable with just enough sporting feel to keep your interest. I also appreciated the XM (or was it Sirius?) 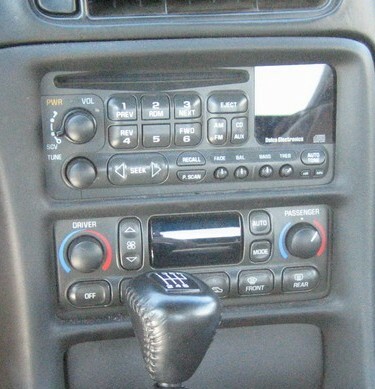 radio interface and the very effective automatic climate control. So while it still seemed like a bit more car than I'd want to live with, I can totally understand the appeal. Perhaps an RS4 would be a happy medium. 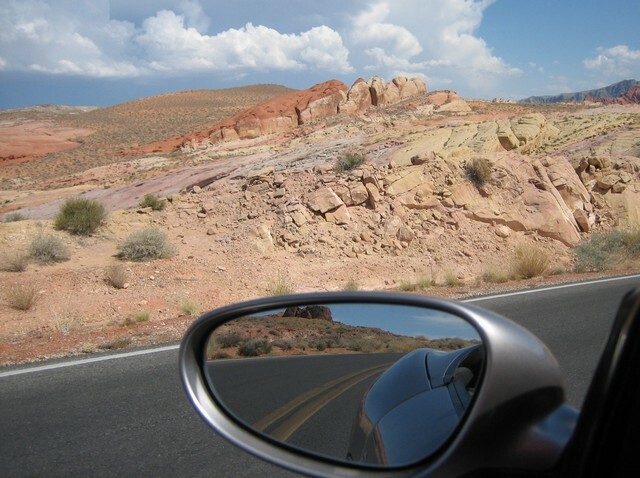 Good driving roads: In short, there aren't any in Vegas. I couldn't even find a full cloverleaf for handling tests. The best bet is to head out to Red Rocks Conservation Area just west of town on 159/Blue Diamond road. They have a nice curvy ~15 mile scenic drive loop with about 1000 feet of elevation change. A yearly pass is $20 and well worth it if you're making multiple runs. There are several picnic spots and restrooms along the way. The loop is one-way the whole way, so you can pick your line without worrying about oncoming traffic. Just keep an eye out for bicyclists and marbles on the edges, especially near washouts. 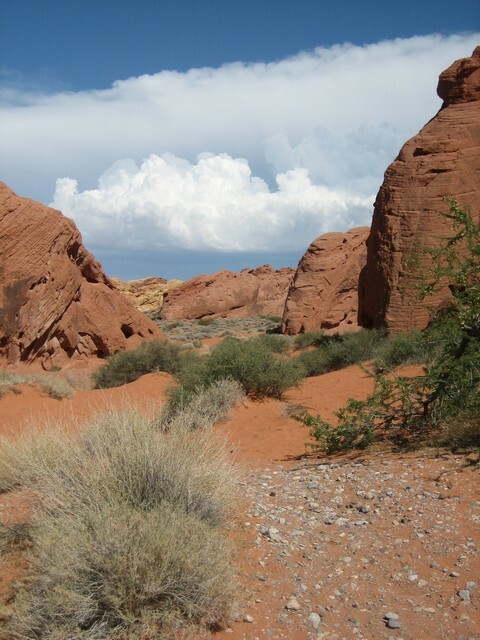 Another good option is Valley of Fire State Park, about an hour north of town along I15. It's a bit less crowded than Red Rocks, but it's over 100 miles round trip, so leave some time. The roads are two-way and a bit higher speed than Red Rocks. Once inside the park ($6) take the road past the visitor's center to White Domes. Lastly, there's Rt 167 that runs alongside Lake Mead. 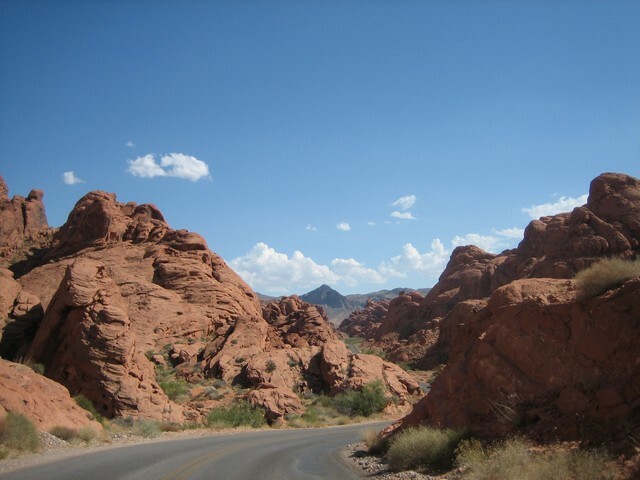 I drove up to Valley of Fire on 15 and came back to Vegas along 167/Northshore Drive through Henderson. It was absolutely deserted when I drove it (mid-week during the late afternoon), which made for a very nice drive. The road itself isn't really well marked, but there aren't too many wrong turns you can take anyways. Put some miles on! The rentals generally come with 100 free miles, with extra miles at 50 cents a pop. It sounds steep, but it's well worth it to take longer trips. When you figure the daily rate may be $250-300, an extra $50 for twice as many miles is a bargain. 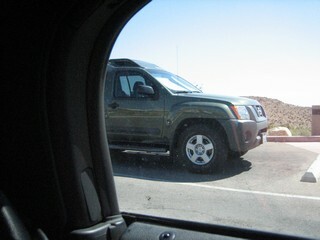 Death and Taxes: Be aware that like most tourist towns, Vegas has extortionary rental car taxes. As of June '06 there was a 4% "DMV License Recovery Fee", a 6% "Nevada Road Tax", 7.75% Nevada sales tax, and a 2% Clark County "Use Tax" ...so figure an additional ~20% for taxes and budget accordingly. Also, it might be wise to call your insurance company and double check what coverage you have for rental cars, and ask specifically if it covers exotic car rentals. Most of the rental places offer their own coverage as well. Figure out how much you need, or just roll the dice. It's Vegas, baby.